Texas Land Commissioner George P. Bush, the son of former governor and 2016 presidential hopeful Jeb Bush, generated national publicity recently when he announced that the Republican Party needed to support its nominee Donald Trump. He made the comments in his capacity as head of a fundraising arm for the Texas Republican Party, but many were still surprised by Commissioner Bush’s statement. During a brutal primary campaign, Trump was not only harshly critical of Bush’s father, but went so far to accuse his uncle, President George W. Bush, of misleading the country about the reason for invading Iraq. 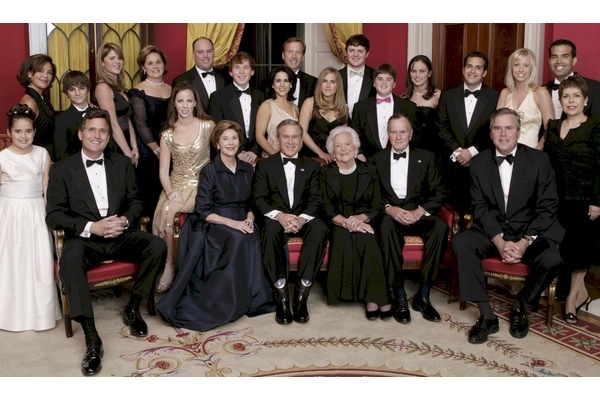 While Commissioner Bush has expressed the importance of party unity if GOP candidates are to win in November, one can also look at the pragmatic political history of the Bush family to partially explain his comments. Prescott Bush was imbued with the spirit of noblesse oblige, a philosophy that dictated that those who held positions of responsibility are obligated to do what they can to help the misfortunate. From Bush’s perspective, that thinking translated into a belief in government power, not only as a means of building vital national infrastructure, but to help those who seek assistance in obtaining housing, education and other basic necessities of life. Those instincts of “Prudence and pragmatism” embodied in the character of Prescott Bush, would remain at the foundation of George H.W. Bush’s philosophy. During the 1960s the moderate wing of the Republican Party was overtaken by the more ideological strain of movement conservatism. Throughout that period and for the rest of his political career, the younger Bush would struggle to reconcile the progressive sympathies of his father with the movement popularized by Barry Goldwater and Ronald Reagan. While George H. W. Bush grew more conservative following his decision to move his family to West Texas in 1948, he was uncomfortable with a number of the positions articulated by the Goldwater conservatives, particularly on Civil Rights. However, Bush’s competitive nature caused him to oppose aspects of the Civil Rights Bill as well and the nuclear Test-Ban Treaty when he ran for the U.S. Senate in 1964. Despite Bush winning the GOP primary he lost the election to the Democratic incumbent Ralph Yarborough. In reflecting on that campaign decades later, Bush believed it was necessary to oppose these initiatives at a time when the conservative movement was gaining strength in Texas. That kind of political pragmatism intermixed with driving ambition is a defining characteristic of Bushes. Though the strategy brought George H.W. Bush a great deal of success it also caused those on the Right to view the Connecticut patrician turned Texas oil men as inauthentic. While many believe his underestimation of those on the Right contributed to his loss in the 1992 election, his son George W. Bush was determined not make the same mistake. Twice elected president, Bush 43 was far more at ease with the ideological vision espoused by Ronald Reagan than with the middle-of-the-road conservatism of his father. However, like the elder Bush, who spent his formative years in the East, George W. had to initially contend with many of the same issues that had hampered his father during his early political career. In 1978, Bush decided to make his initial run for a Texas congressional seat. Despite his opposition to the Equal Rights Amendment and a national healthcare system, Bush’s GOP opponent, a supporter of Ronald Reagan, portrayed the future president as insincere when it came to his support of conservative ideas. While Bush won the primary, his conservative Democratic opponent won the election by continuing to characterize George W. as a carpetbagger and member of the Eastern Republican establishment. The Democrats had used a similar strategy to defeat George H.W. Bush during his senate race in 1964. Over the coming decades as Bush ran successfully for governor and president, he never allowed himself to politically underestimate those on the Right again. An evangelical Christian, who frequently spoke about his faith, Bush was comfortable with the social conservative wing of the GOP. As he moved from Austin to the White House, Bush understood that in order to achieve Republican success, one was required to have a strong ideological vision for where they wanted to take the state or the nation. While George W. contended that his father was never able to articulate an ideology that give voters a sense of what he represented, one can also argue that he was simply more comfortable with the pragmatic policies of an Eisenhower than a Reagan. As George P. Bush seeks to build his own path to political power, the grandson and nephew of the last two Republican presidents finds that he is representing a party his grandfather and uncle barely recognize. As Bush 41 tried to use pragmatism to balance his politics between Eastern Republicanism and movement conservatism, his grandson is trying to walk his own delicate line between establishment Republicanism and the Tea Party movement. Though George P. has not endorsed Trump personally, according to an article in Politico from 2014, he does not favor amnesty for undocumented immigrants and believes America needs to take a less active role in the world. He has also said he doesn’t believe in labels, a comment that implies a desire to revive the party’s big tent philosophy advocated by establishment Republicans like his grandfather and uncle. What the Texas land commissioner and scion of Republican presidents will do next remains to be seen. However, what does appear to be clear is that another George Bush has continued his family’s tradition of trying to anticipate the next phase of the Republican Party and where he politically fits within it.